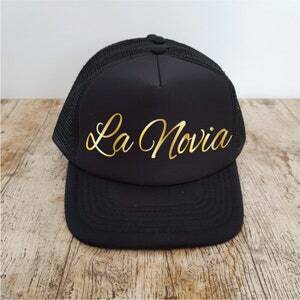 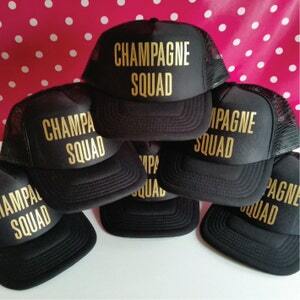 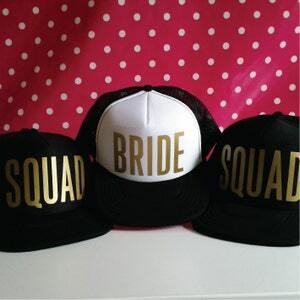 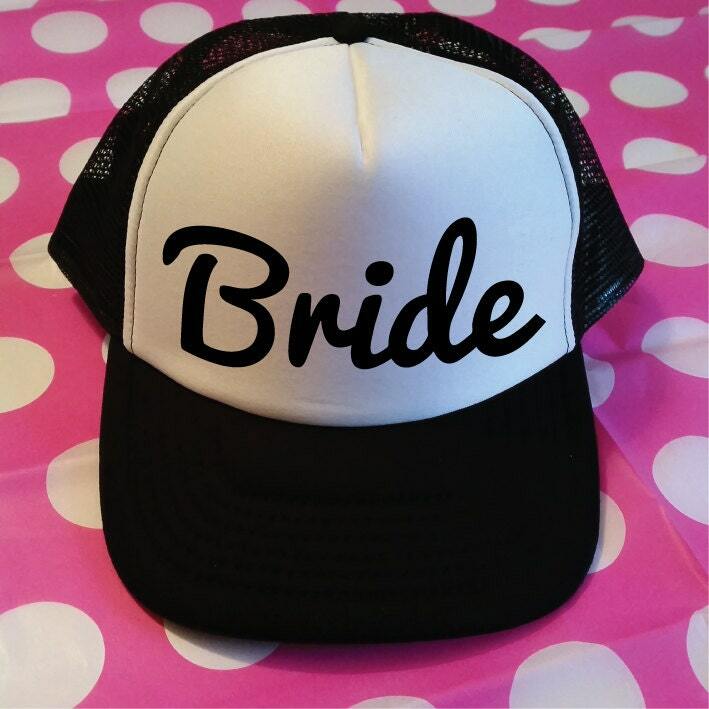 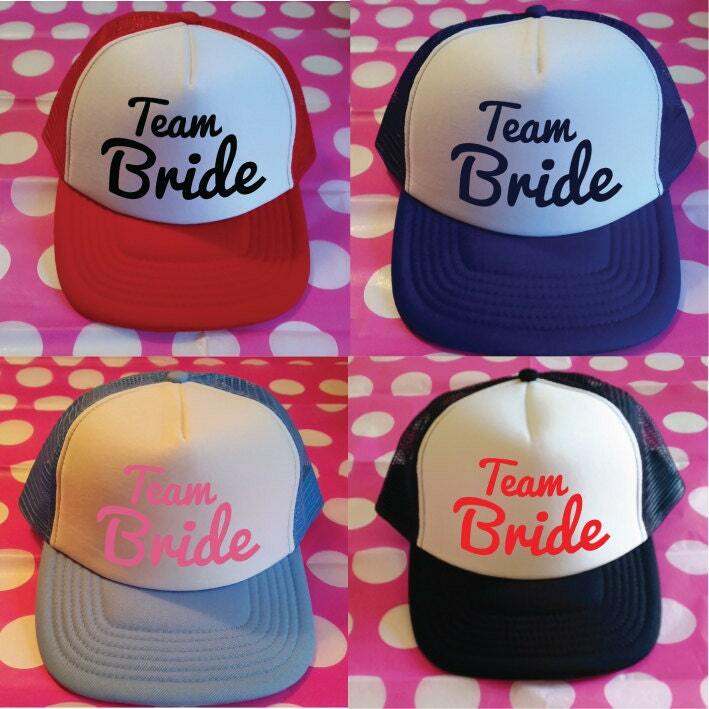 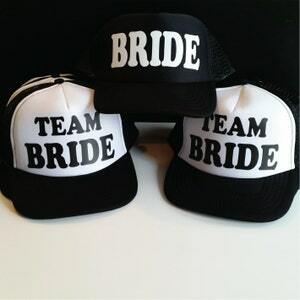 Get your Wedding Party off to a flying start with our Team Bride & Bride Trucker Hats in a fab range of colours. 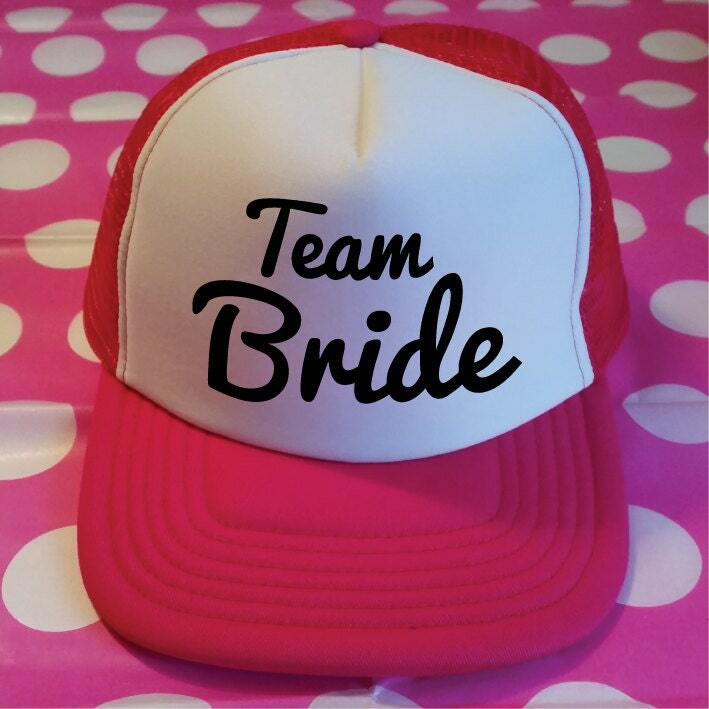 Perfect to make your Hen or Bachelorette Party one to remember. 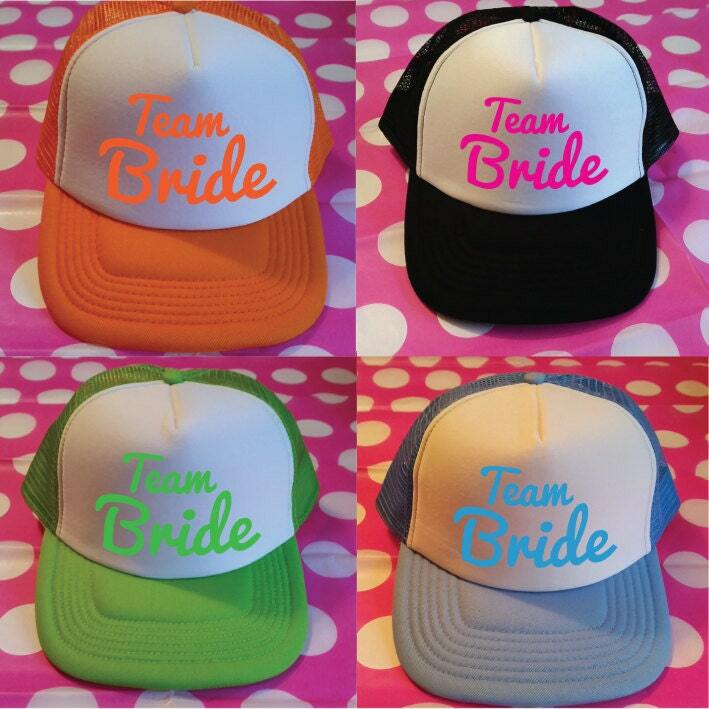 Photo's merely give ideas of colour combinations but you can choose which ever combination you like.